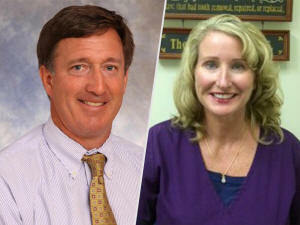 One year after a family of four was poisoned by illegal fumigation at a U.S. Virgin Islands resort, pest control corporation Terminix was fined $10 million by federal authorities. 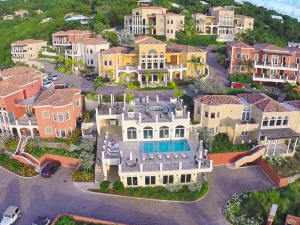 The company was charged with illegally using methyl bromide – a pesticide that has been banned for residential use in the U.S. for more than 30 years – at a St. John resort and more than a dozen residential locations throughout the U.S. Virgin Islands in recent years, according to the U.S. Department of Justice. The investigation began after a Delaware family vacationing at the Sirenusa Resort in St. John was poisoned when the unit below theirs was fumigated with methyl bromide in March 2015. The gas entered the their unit and seriously injured the entire family. When paramedics responded to the scene on March 20, they found Stephen Esmond unconscious and his wife Theresa Devine and their sons suffering seizures. The couples' two teenage sons, Sean and Ryan Esmond, were hospitalized in critical condition and suffered permanent neurological damage as a result of the exposure, reports CBS News. "Because methyl bromide dissipates so rapidly to the atmosphere, it is most dangerous at the actual fumigation site itself," the EPA explains on its website. "Human exposure to high concentrations of methyl bromide can result in central nervous system and respiratory system failure," among other side-effects. Six months after the family's exposure, their lawyer told CNN that the brothers were barely able to move and that Stephen Esmond was still suffering from severe tremors and struggling to speak. The $10 million penalty includes $8 million in criminal fines, $1 million in restitution to the EPA for clean-up costs and a $1 million community service payment to the National Fish and Wildlife Foundation for projects in the U.S. Virgin Islands. The corporation will make "good faith efforts" to resolve the family's past and future medical expenses through a separate civil process as part of a three-year probation period.